Obtaining a second citizenship in St Kitts and Nevis federation provides a whole wealth of benefits and there are many USA citizens choosing to apply. Not only can a second citizenship expand your travel possibilities to over 125 countries visa-free and allow you to live tax free, it also gives you the right to live, work, and purchase real estate in any one of the 8 OCES countries including many other benefits noted below. The program automatically grants successful applicants with dual-citizenship which has both its advantages and disadvantages depending on your original country of residence. For instance, the USA is the only industrialized country that taxes income earned abroad, so for U.S citizens the citizenship program also has another benefit. 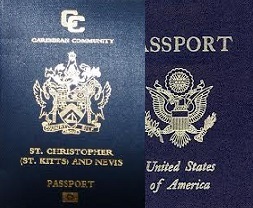 A second passport is an essential requirement for becoming expatriated from the USA, therefore there are growing numbers of U.S residents choosing to relinquish their U.S citizenship when they have successfully obtained citizenship and a second passport for St Kitts and Nevis. Visa-free travel to over 100 countries including, UK, Canada, Switzerland, EU and most British Commonwealth countries. Lifetime citizenship for all those included on the application. Dual Citizenship ? There is no requirement to abandon your existing citizenship or notify home country unless applicant wishes to. Second Passport ? Once approved and all fees are paid, a valid passport will be issued to the applicant and other eligible family members. Full Residency Status ? A resident has the right to live, work and purchase real estate in St Kitts and Nevis and in any of the other 8 countries within the OCES. Tax Breaks ? All citizens of St Kitts and Nevis enjoy tax free status on all income, capital gains, gifts, wealth and inheritance. Excellent Real Estate Investment ? Guaranteed return on real estate, as of January 1st 2012, property purchased for the by investment program can be sold after 5 years to a new owner for citizenship. 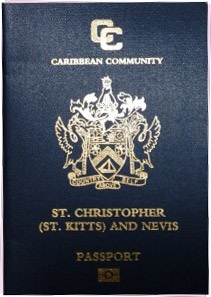 Obtaining citizenship in St Kitts and Nevis holds many benefits for anybody wanting to make an investment in real estate or a contribution to the SIDF. US citizens are applying for this status due to the excellent tax free living conditions and with excellent living conditions and great choice of government approved real estate, it is easy to see why so many are applying for the program. Understand in detail what is the Economic Citizenship by Investment Program for St Kitts and Nevis? View the Exclusive Kingfisher Club Properties for Sale!! Disclaimer: All information contained within the Citizenship pages of Coldwell Banker St Kitts and Nevis Realty is for information purposes only and was correct at the time of publishing, May 30, 2013. Coldwell Banker St Kitts and Nevis Realty have an approved representative by the Citizenship-by-Investment Unit dealing with all applications.